Indias leading online store flipkart finally launched its shoping app for iPhones. They also launched its Android version 2 Months ago. 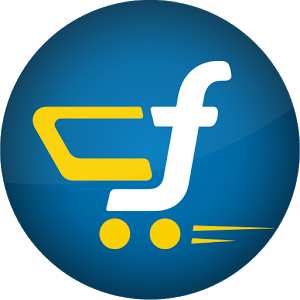 Flipkart shopping app allows users to view all products and services from flipkart.com, add to chart and purchase directly using this app. The app also allows customers to navigate through different product categories including Beauty & personal products, Fashion products, Books & Entertainment products, Electronics & accessories, Baby products, etc. The app also display images of products, Zooming option available to see close-up. Also you can easily switch to next product in the same category. You can place orders and check out products using different payment methods including, credit card payment, debit card payment, EMIs, NetBanking, & Cash on delivery. You can also track status of orders using this app. Flipkart shopping app designed with sharing options which means users can share favorite products with friends via Facebook, SMS, G-mail, Google+, Twitter, etc.